In 2015, history was made when Port Houston broke the two million twenty-foot-equivalent units (TEUs) barrier for the first time. 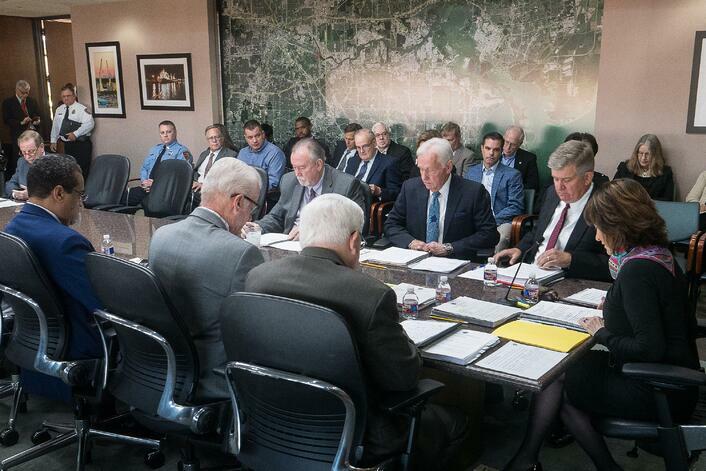 “In fact, we already surpassed the two Million TEU mark in September, the earliest by far that we have reached that milestone,” Executive Director Roger Guenther said in his report to the Port Commission of the Port of Houston Authority during its regular monthly meeting held in October. All indicators point toward container activity to maintain this stride through the end of the year. “There is still a lot of activity across our docks and the trends are positive through Port Houston terminals as we make the stretch run through the end of 2018,” Guenther said. Import steel at Port Houston terminals continues at a solid rate through the third quarter, pushed by the strength of production in the energy sector, Guenther noted in his report. The general cargo terminals handled 3.5 million tons year-to-date with more than 478,000 tons in steel recorded in September alone. Overall tonnage for the year reflects a healthy growth of 8 percent over last year, with more than 31 million tons recorded.